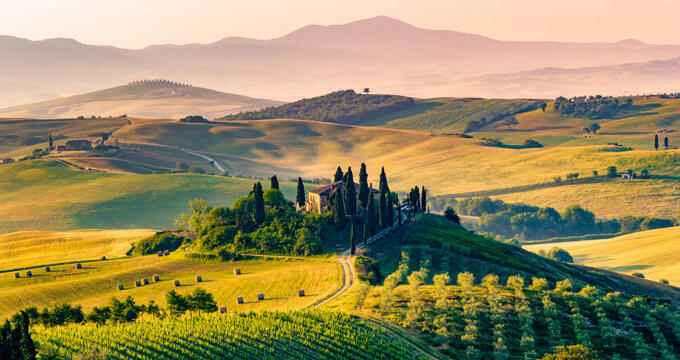 Tuscany is considered to be the birthplace site of the Italian Renaissance and has left a lasting impression on high culture throughout the world in the realms of gastronomy, art, and fashion. Florence is one of Italy’s most-visited tourist sites, and seven locations throughout the region have been designated as UNESCO World Heritage Sites for their cultural significance. Wines produced throughout the region have become synonymous with fine viticulture, including the world-renowned Chianti varietal and regional favorites such as Vino Nobile di Montepulciano. The Bargello, which is also known as the Palazzo del Bargello or the Palace of the People, is a former Florentine prison and barracks that has been converted into an art museum. The complex's name is believed to have been derived from the Latin word bargillus, which means "fortified tower" or "castle." It was originally constructed in 1255 and is Florence's oldest public building, originally built to house the city's podestà, or city council magistrate. In 1574, it began to be used as a prison and remained the Florentine police headquarters until the mid-19th century, when it was converted into a national museum by the Governor of Tuscany. Today, it houses the largest collection of Renaissance and Gothic sculptures in Italy, including significant pieces by Michelangelo, Donatello, and Bernini. Significant collections of ceramics, tapestries, textiles, and metalworks are also showcased. Boboli Gardens are a Florentine park that was originally constructed in the mid-16th century adjacent to the Pitti Palace. The gardens were landscaped for Eleonora di Toledo, wife of Italian ruler Cosimo I de' Medici, and were constructed by architects Niccolò Tribolo and Bartolomeo Ammanati, with additional input by Giorgio Vasari and Bernardo Buontalenti. They are among the oldest and most prominent 16th-century gardens in the country, serving as a model for similarly-styled gardens throughout Europe. Today, they are operated as a public park showcasing a significant collection of sculptures from the 16th, 17th, and 18th centuries, offering expansive views of the city, with water elements developed through irrigation sourced from the nearby Arno River. Florence Cathedral, also known as the Cattedrale di Santa Maria del Fiore, is Florence's official cathedral, originally designed in 1296 by Arnolfo di Cambio and extensively renovated in the 19th century with a Gothic Revival-style facade by Emilio de Fabris. 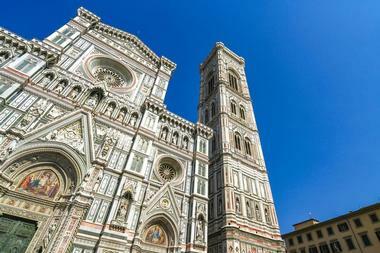 The cathedral, along with the nearby Florence Baptistery and Giotto's Campanile, is listed as a UNESCO World Heritage Site preserving the city's historic city centre. The cathedral serves as the mother church for the Roman Catholic Archdiocese of Florence, currently overseen by archbishop Giuseppe Betori. 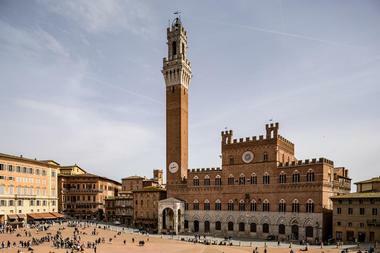 Notable features include a 15th-century brick dome constructed by Filippo Brunelleschi, which remains the largest brick dome in the world, and significant works of art by Paolo Uccello and Andrea del Castagno. Galleria dell'Accademia di Firenze, known as the Gallery of the Academy of Florence in English, is Italy's second-most-visited art museum after the Uffizi, attraction more than 1.4 million annual visitors. 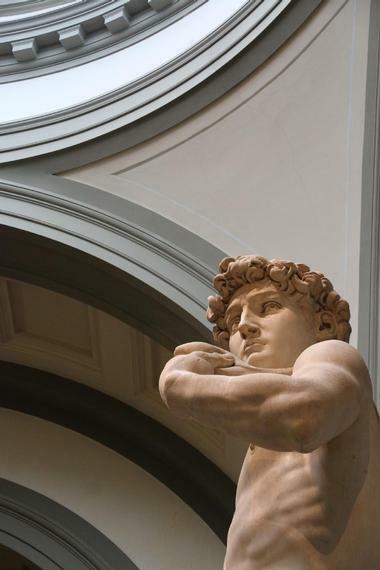 The museum was originally founded by Grand Duke of Tuscany Pietro Leopoldo in 1784 and is best known as the display site of the original sculpture of Michelangelo's David since 1873. 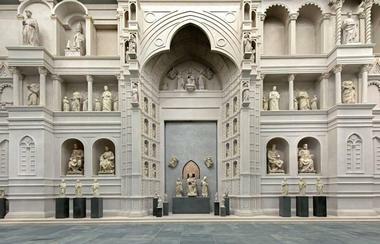 Though the museum was originally created as a display of Michelangelo works, it has become a general display museum of works by Florentine artists throughout the Trencento and Renaissance, including significant works by Sandro Botticelli, Domenico Ghirlandaio, Paolo Uccello, and Andrea del Sarto. Gallery of Modern Art is located on the second floor of the Pitti Palace in Florence, overlooking the palace's beautiful Boboli Gardens. The museum has been open to the public since 1924, housing significant Italian works produced between the late 18th and early 20th centuries, from the rule of Pietro Leopoldo through the start of World War I. It was begun with a collection of works produced from competitions by the Academy of Arts and Designs, housed within a space formerly occupied by the Lorraine family. Significant works include the works of the Macchiaioli, along with significant pieces by artists such De Chirico, De Pisis, Dupré, Morandi, and Boldini. The Hot Springs of Bagni San Filippo are one of Tuscany's premiere natural hot springs sites, used for healing and medicinal purposes since the Etruscan era. 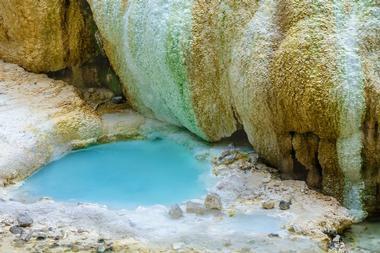 The springs are considered to be a hidden local secret, less crowded than tourist-heavy hot springs such as the springs at Saturnia in Maremma. They are located just outside the city of Bagni San Filippo within the Val d'Orcia and showcase a number of waterfalls, pools, and calciferous formations, including the spectacular White Whale calcified waterfall, which is located at the confluence of the hot springs and the cool waters of the nearby river. A number of visitor pools are available for relaxation and healing purposes, which may be accessed for free year-round. Isla de Elba is the largest island within the Tuscan Archipelago, known international as the exile site for French Emperor Napoleon during his 300-day exile in 1814 and 1815. 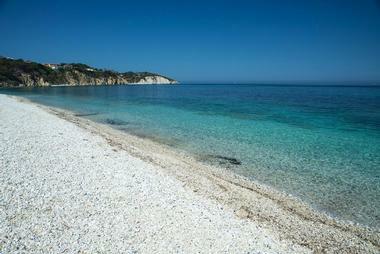 The island is Italy's third-largest island region after Sardinia and Sicily and is part of the expansive National Park of the Tuscan Archipelago, Europe's largest marine park. The island's connection to Napoleon is explored at Portoferraio’s National Museum of Napoleonic Residences, while its Napoleonic residences are preserved at Palazzina dei Mulini. In recent decades, the island has become a prime wine tourist destination in Tuscany, known for its beautiful beaches and summertime resort residences. A network of road racing trails span the island, including a noted stretch between Rio nell’Elba and Porto Azzurro linked to famed 20th-century racer Fausto Coppi. Ferrari Test Drive allows Florentine visitors to take the wheel for a once-in-a-lifetime Ferrari driving experience, assisted by personal driving tutors. All tours depart from the Piazzale Michelangelo and explore the Tuscan countryside, offering sweeping views of the region's surrounding natural wonders. 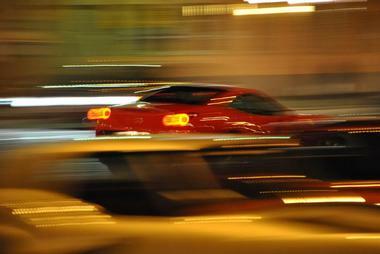 Tours are available in varying distance increments, ranging from four to 70 kilometers of driving time. Participants may upgrade their tours with stops at the hillside city of Fiesole, which showcases spectacular panoramic views of Florence. Apertifs are offered as part of tour stops in Fiesole, along with Chianti country drives through Tuscany's famed vineyard regions. Preferred driving times may be scheduled in advance, though visitors should note that there may be a slight waiting period upon arrival for drives. Fiat 500 Tours allow participants to tour the beautiful Tuscan countryside in luxurious Fiat 500 vehicles driven by experienced tour guides. 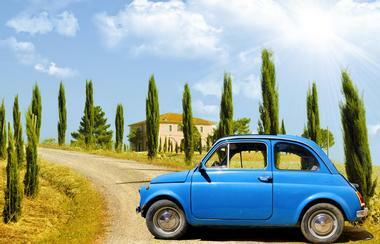 Tours are available for individuals, couples, and small groups, departing each morning from Castellina in Chianti. 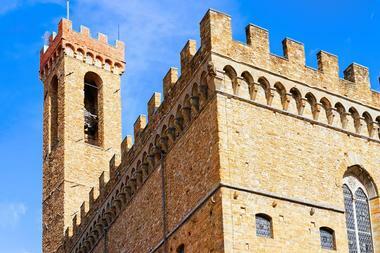 From there, tours explore Chianti's iconic landscape, showcasing local monuments and attractions. Tours follow the path of Via Francigena, showcasing ancient hills and trees along beautiful country roads. All tours include visits to local wineries, with three wine tastings offered, showcasing the region's top wines, before meeting at a local farmhouse for a traditional Tuscan lunch. The tour lasts approximately six hours and is available in Italian, English, French, and Spanish. Florence Baptistery, also referred to as the Baptistery of St. John, is a basilica in Florence that is located in the Piazzas del Duomo and San Giovanni, near the Campanile di Giotto and the Florence Cathedral. As one of Florence's oldest civic buildings, the basilica was constructed in the Florentine Romanesque style, completed in 1128. Its construction was influential in the development of Renaissance architectural styles utilized by architects such as Leon Battista Alberti, Francesco Talenti, and Filippo Brunelleschi and is internationally renowned for its three sets of artistic bronze doors crafted by Andrea Pisano and Lorenzo Ghiberti. Until the 19th century, it served as the baptismal site for all Florentine citizens, including notable figures such as poet Dante Alighieri. Today, it still performance baptisms on the first Sunday of every month by appointment. 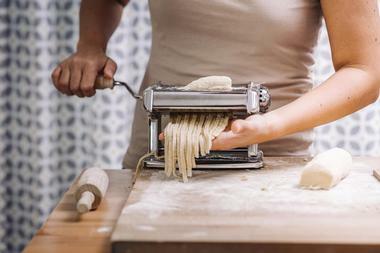 Italian Pasta Cooking Course allows participants to learn the ancient Italian art of pasta-making as part of a hands-on cooking workshop offered in Florence. All workshops are conducted in English and are limited to small groups with a maximum of 12 participants, ensuring direct instruction from expert chefs leading workshops. Participants work with traditional ingredients such as eggs and flours to craft three types of pasta dishes made with different types of traditional sauces. Participants have the opportunity to roll pastas by hand and try their hand at crafting pastas with modern rolling machines. A traditional Italian dessert is also prepared by hand. After the completion of the workshop, participants enjoy a group meal of prepared dishes, with free drinks included. 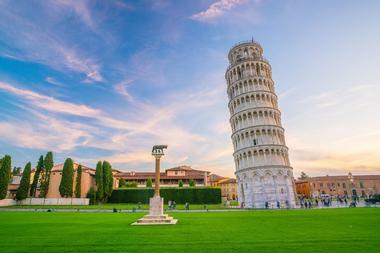 The Leaning Tower of Pisa, also commonly known throughout Italy as the Tower of Pisa, is the famed freestanding bell tower of Pisa's historic cathedral, known around the world for its accidental tilt. The tower was originally constructed between the 12th and 14th centuries and developed a significant tilt early in its construction, due to inadequate foundation laying on one side of the structure. Though it tilted at an angle of 5.5 degrees throughout much of its history, it has been stabilized throughout the 20th and 21st centuries to ensure its continued preservation as a major world historic landmark and currently tilts at an angle of 3.99 degrees. Guided tours of the tower are offered daily, lasting approximately 35 minutes. Visitors should note that all tours are conducted on foot, with a 251-step climb required to reach the tower's peak. Marble Caves Tour is a private small group tour exploring the beautiful Carrara region of Tuscany, known as the world capital of marble mining and production. The site was the source of marble for a number of world-renowned Medieval and Renaissance-era works of art, including a number of sculptures by Michelangelo. 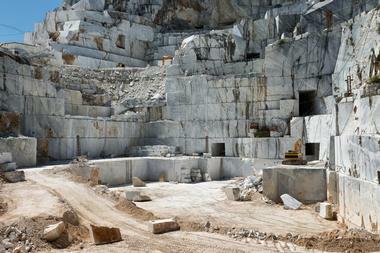 Tours explore the heart of the region's quarries, located within the Apuan Alps, which process tens of millions of tons of marble per year. The history of miners in the region is detailed as part of tours, along with an explanation of a number of modern marble mining techniques, including diamond wire and cutting marble blades. Tours last approximately five hours and include lunch at a local restaurant. Museo dell'Opera del Duomo, referred to as the Museum of the Works of the Cathedral in English, is a Florentine museum that showcases original artworks created for the city's Cattedrale di Santa Maria del Fiore. The museum is located adjacent to the cathedral on its east side, originally opened to the public in 1891 on the site of the construction of Michelangelo's world-renowned David sculpture. Today, it is considered to house one of the world's most significant sculpture collections, home to pieces such as Lorenzo Ghiberti's Gates of Paradise baptistery doors. Works by famed Renaissance artists such as Donatello, Buonarroti, and Verrocchio are also housed within the museum's collection, which is the largest collection of Florentine Renaissance sculptures in the world. 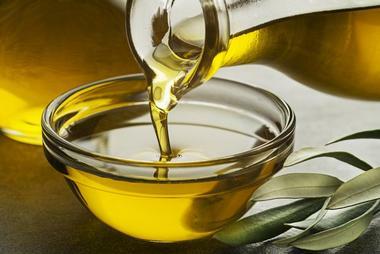 Olive Oil Experience is an olive oil tasting workshop hosted at Umbria's Il Fontanaro olive oil shop, offering hands-on olive oil tasting and instruction courses for participants of all cooking and food knowledge levels. Tasting workshops are offered on weekday mornings at 10:30am, located on the Il Fontanaro Organic Olive Oil Estate in Paciano. Workshops include tours of the estate's olive mill and grounds, followed by sessions teaching participants about types, uses, and tasting methods for different varieties of olive oil. Following each workshop, participants have the option to purchase olive oil from the estate's retail shop or to adopt an olive tree on the grounds of the estate. Palazzo Pitti, or the Pitti Palace, is an expansive Renaissance-era palace located in Florence that was the former home of the Medici family beginning in the 16th century, serving as the primary residence for the ruling families of the Grand Duchy of Tuscany. Today, the palace has been transformed into a vast museum complex, the largest museum in the city of Florence. It spans a 32,000-square-meter palazzo block in Florence and is home to the city's Silver Museum, Palatine Gallery, Museum of Modern Art, Museum of Carriages, Porcelain Museum, and Costume Gallery. 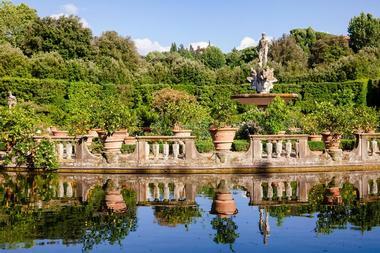 Outside the palace, the Boboli Gardens serve as a public park and botanical garden facility. Palazzo Vecchio is Florence's town hall building, originally known as the Palazzo della Signoria, named as such for the Republic of France's ruling body. The building was originally constructed in the 14th century as a palace constructed on the ruins of the former Palazzos dei Fanti and dell'Esecutore, designed by Duomo architect Arnolfo di Cambio. 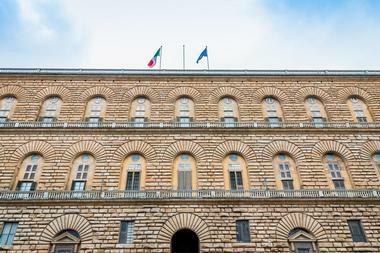 It served as a residence for the Medicis from 1540 until the ruling family's move to the Palazzo Pitti, at which point it was made the seat of Italy's provisional government. 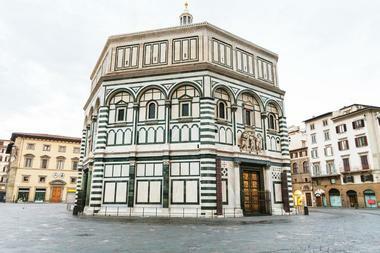 Since 1872, it has housed the offices of the Mayor of Florence and served as the seat of the region's City Council. A number of museums are housed on site at the building, honoring the reign of the Medicis and the city's history of Renaissance artwork. Guided tours of the building and its surrounding grounds are offered free of charge with advance reservations. 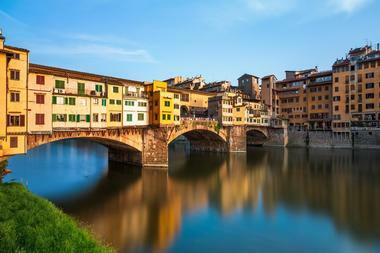 Ponte Vecchio, which translates as the "Old Bridge" in Italian, was the first and only bridge across the Arno River until 1218. The bridge as it currently stands was reconstructed in 1345 following a citywide flood and was the only bridge over the Arno that was not destroyed in World War II. Though its current construction history is unknown, it is believed to have been constructed by the city's Dominican friars. It is located within the pedestrian area near the Piazza della Repubblica near Palazzo Pitti and is home to a number of historic shops, including goldsmiths, butchers, and fishmongers. As one of the city's most romantic spots, the bridge is also a site for concerts, theatrical productions, and boat ride launches. Tuscan Bike Tours are offered by tourism company Anima Toscana, which is the official tour operator for the city of Eroica and offers a variety of biking tour packages throughout iconic Tuscany regions such as Chianti, Val d'Orcia, and Monteriggioni. Full-day bike tours explore beautiful regional attractions such as the Crete Senesi, Monte Oliveto Abbey, the Castle of Brolio, and the city of Siena. 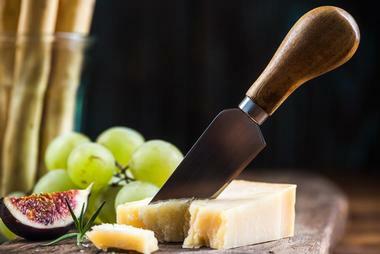 Wine and food tours travel to the region's main wine production areas and offer tastings of authentic Italian cheeses and truffles, with elaboration offered on the region's cultural and culinary history. Tuscan cooking classes and dinners are also offered as part of guided bike tours, with self-guided bike tour routes offered for exploration at visitors' own pace. 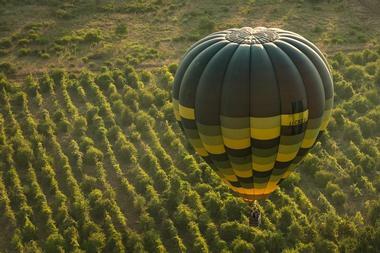 Tuscany Hot Air Balloon Flight gives visitors spectacular views of the stunning Tuscan countryside aboard an hour-long hot air balloon flight embarking from the village of San Casciano in Val di Pesa. Excursions are led by experienced captains and crew, with safety briefings offered for all participants prior to flights. Each excursion travels approximately 2,000 feet above ground level, showcasing the vineyards, olive groves, villages, and castles of the Tuscany region. Two early morning sunrise excursions are offered, with hotel pickups available for visitors staying at centrally-located Florentine hotels. Following each excursion, all participants are given a complimentary glass of champagne to toast to successful flights. The Uffizi Gallery is one of the world's best-known and most-visited art museums, located within the Historic Centre of Florence near the Piazza della Signoria. 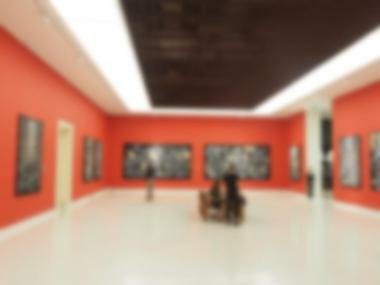 The museum is considered to have been one of the first modern museums in the world, originally opened to the public in 1765 following donations of art collections previously held by the county's ruling Medici family. 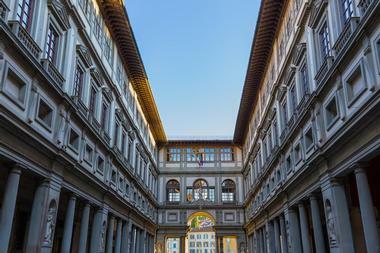 Its art galleries occupy the first and second stories of its historic building, originally constructed in the mid-16th century by Giorgio Vasari. Significant collections of ancient, Medieval, and Renaissance paintings and sculptures are showcased, including works by masters such as Michelangelo, Botticelli, Leonardo, and Caravaggio. Significant collections of ancient Roman copies of Greek sculptures are also showcased, along with works by Dutch, German, and Flemish painters. Vineyard Horseback Rides offer opportunities to explore the beautiful Tuscan landscape on horseback, available for riders of all experience and ability levels. Tours are offered in Chianti by the Tuscany Private Tour luxury touring company, which also offers opportunities to test drive elite European luxury and sport vehicles such as Ferraris and Fiats. Each private tour departs from an agreed-upon meeting place, with hotel pickups available during the morning hours. 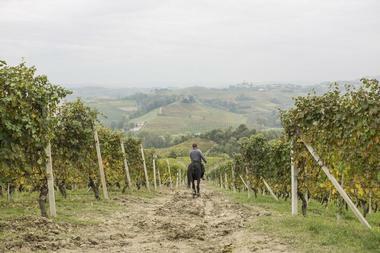 Horse rides explore local Tuscan vineyards and olive groves, available in Italian, English, French, and Spanish. After horse rides, participants enjoy a full gourmet Tuscan meal with four wine tastings of fine wines produced throughout the region. Wise Rabbit Scavenger Hunt is Europe's first scavenger hunt travel programming company, offering group scavenger hunt experiences throughout Russia, Poland, France, and Finland. 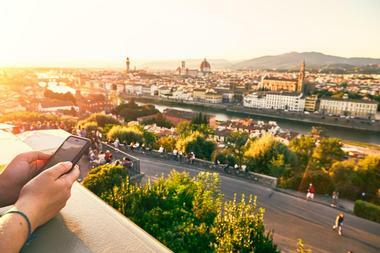 The company's Florence scavenger hunt is its first activity in Italy, creating a group strategy travel game based on the city's social and cultural history. Scavenger hunts are based on a tale about a 19th-century historian, encouraging participants to follow in the Medici family's footsteps to complete a series of tasks based on the character's secret travel notebooks. All groups receive tablets with advance registration, with games best suited for groups of two to six participants. Maps and scavenger hunt materials are provided on tablets, allowing participants to follow in the tracks of the character and find hidden details throughout the city to complete activities and puzzles. 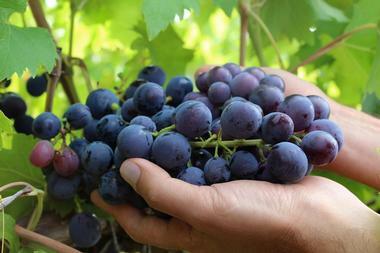 Bacchus Weekend is a winery, art, and history guided tour through the Tuscan regions of Spello, Bevagna, and Montefalco. The minibus tour showcases the quaint and charming historic town of Spello, home to famed Renaissance-era frescoes by Pinturicchio and works by Northern painting school artists such as Gentile da Fabriano. From there, the tour continues on to the medieval Roman city of Bevagna, which is home to the San Michele and San Silvestro churches and the famed Torti Theatre. The tour then culminates at the city of Montefalco, which overlooks the beautiful Valle Umbra and is known for its famed local wine production. Tours of the city's Museo di San Francesco are also included in the excursion, along with a light lunch for the tour group. Florence Gourmet Food Tour is a gourmet tour of Florence's culinary scene, embarking in the afternoon from the Piazza della Repubblica near Gill Cafe and Rinascente Department Store. All tours include a variety of food and wine tastings, including truffle panini tastings accompanied by glasses of prosecco and authentic focaccia bread tastings accompanied by glasses of chianti. Other stops along the tour including artisan chocolate tastings, gelato tastings, and a trip to a local olive oil boutique for tastings of extra virgin olive oil and balsamic vinegar. 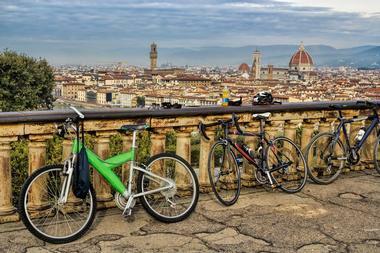 Along the way, participants learn about Florence's cultural and culinary history as part of a city walking tour. Tours last approximately two and a half hours, with groups limited to a maximum of 12 participants.